On a side thought I wonder if the Loroi actually have any particular individuals who are gifted enough that that could be a real possibility, some kind of savant individual. My understanding is that Fireblade is near the top-end as far as TKs go. in the case of W40k vs outsider. No one win. The loroi outrun their ship, glaze their planet and then? they cant stop the "now pissed off" terran ship from doing the same. Warp travel is ...variable. But in actuallity it is really fast. The IoM controls the entire GALAXY. Ho long would it take for a Loroi ships to go from one end of it to another? I get the feeling the fire-power of the wave loom would consume WH ships like fire does cardboard scraps, and their plasma focus? probably cut through their armour like tissue paper, but run out of steam before it got all the way through, but how exactly would I know? 40K ships slug it out for HOURS...all the while throwing peta-wats of energy at eachotther. Spehhs Mahrines are teh ultimate badasses. my understanding from the WH40k universe is this: their ships are SLOW and don't accelerate very fast at all, however they happily take shortcuts through the alternative dimension the warp, in order to achieve viable FTL travel. Outsider ships are self confessed to pull 30 g and have an effective weapon range of 2 ls against similar targets doing similar stunts. War40k ships have a combat range close enough that ship boarding actions are a viable option without spending an hour charging at your opponent, heck they have ships built with bows to simply fly THROUGH opposing ships. This suggests War40k ships fight at close ranges with insane numbers of weapons, and relying on heavy armour at short range in order to hit. Outsider ships could sit back and blast the 40k ships as long as they wanted, and focus their firepower on certain parts of their hull while flying around randomly at long range (maybe 3-4 ls) and tear the 40k ships to pieces bit by bit, and the waveloom is something that would support such weapons with the ability to blast through the hull based on interpretation and speculation commonly agreed on (long range high energy, directed energy and probably moderately long duration weapon). So either the Loroi can take their ships apart piece by piece, OR they can stay far enough away the 40k ships can't hit them. From my understanding warp travel is long distance only, as navigational guidance is based off the beacon on earth. Trying to use it in tactical combat would be madness, but against something so small, could be profitable. Also the only psychers capable of such feats as tearing apart ships are those who are halfway corrupted by chaos anyway, and they aren't exactly 'their own' powers at that point, or they are plot events <_<. And cubes are tiny compared to WH ships (given how comically often cubes get blown up, a WH ship would simply overwhelm their screens with massed fire-power, and the fight is over). They would have loroi tactical fusion cube! they could then assimilate the WH ships. if not, they would adapt their shield to counter WH weapon. Other point: they (the borg) dont have an accessible home world. So they can just scatter and reform with the new information they gained from previous battle. 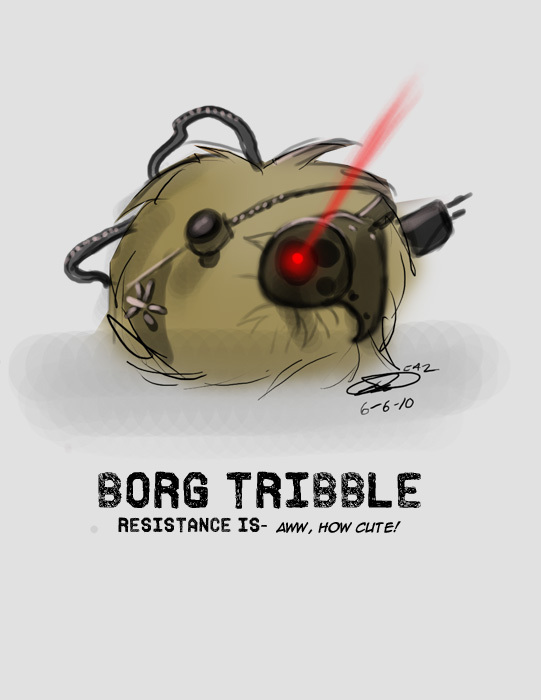 On the long run, the Loroi / tibble borg win, All HAIL THE BORG!!! I don't any numbers for speed or distances are ever given for 40K ships. 40K ships could disengage at any time. Warp travel is fast...real fast. A 40K fleet could drop from warp above a Loroi planet, perform an exterminatus, and go away without taking any damage (the void ships are redicolously tough). Basicly, the Loroi ships would be left without any support infrastructure. For long-distane travel, the Astronomican is used. For short distances, a navigator can use other means. He could use the Loroi fleet as a beacon itself (as every psyker can far-sense). Psykers crush tanks with their minds, shoot lighting and open tears in reality. Seems I am wrong..as one guys on Bolter and Chainsword corrected me. BFG naval battles take place at distances of hundreds of thousands of miles/millions of miles, not the Wars/Trek standard of having mile-long ships five feet away from each other. In Flight of the Eisenstein, the Phalanx, after dropping out of warp way out past Pluto, Neptune, and a tenth planet, comes racing in at 75% of the speed of light "crossing the orbit of Neptune in a shower of dazzling radiation". In Nemesis, the assassin ship's speed when being pursued by Horus's fleet, is 25% of the speed of light. And for comparison, according to Rogue Trader, ships normally reach 1% of the speed of light on the way out (after some time slowly accelerating), or come in at 1% of light speed and decelerate as they go, until they arrive in the inner reaches. Keep in mind that the ships that tend to have ramming prows (usually either ork or chaos) are run on collective racial magic or demons which make them so incredibly tough that they are able to withstand concentrated barrages of firepower without too much damage. On top of that, ships in wh40k are built to last. Compared to most universes the ships do not have shielding on outside of engadgements. That means that they are constantly pummeled by micrometerorites and other debris without it playing mcuh of a role. Overall they also tend to usually fight over fairly massive distances. These ramming ships tend to be an exception and are rarely employed by anyone but those two races. As to your psyker arguments. I would garner a safe bet that Fireblade cannot compare to a deamon. On top of that, if she did manage to enter the mind of a human psyker in 40k, she might get exposed directly to the warp. So the one who'd be drooling would probably be her. Overall both universes run on different versions of applied phlebotinum. But 40k is designed from the ground up to be over the top. Outsider on the other hand tends to stay down to earth. For example, the difference in this parameter in a two-stroke glow engine of small volume for model aircraft and marine diesel high power and maximum efficiency - 4-5 times. For the fighters decided to reverse the task: take the best characteristics of a torpedo engine each race, and based on them calculated the on-board supply of speed (megameters per second). Arioch, the engine can be made closer in terms of efficiency? To do this, for example, reduce the supply of fuel to the small torpedo, about ten times. Increase fuel reserves a hundred times on the fighters. and a thousand times on the gunboats. The fuel numbers listed in the tables are a legacy of the simulation I set up to test combat scenarios, the movement system of which was based on the Attack Vector: Tactical game. In this system, a "fuel unit" is abstract, representing the amount of fuel needed to accelerate a particular ship by one hex (10,000 km) per turn (640 seconds). This means that the energy of one fuel unit varies from ship to ship based on the ship's mass. This is slightly problematic for the simulation in the sense that I'm using fuel units as a measure of a torpedo's destructive capacity (since fuel is a torpedo's payload), but only a little, since it only applies to torpedoes, which have masses within the same ballpark. It would make sense at some point to normalize these fuel values based on each ship's mass, so that the listed rating represents an actual amount of fuel instead of a relative amount of fuel, but I'm not in a huge hurry to do that at the moment. The only thing the fuel numbers are useful for right now is to give you a rough idea of the relative endurance of craft of the same type. I can count a lot of fuel for various craft, if you say, what a torpedo to base. Offer DX blister for Loroi and "Scatter Pack" for Umiak. Efficiency engines in fighters, gunboats and extra high-range torpedoes, long-range torpedoes are the same as in blisters. In the medium-range torpedoes engine efficiency is equal to three-quarters. At short range torpedoes efficiency motors is half. In microtorpedoes engine efficiency equal quarters. For gunboats and fighters needed required speed stock on board. It can be obtained by multiplying the specified table-board fuel capacity at 0.9375 megameters per second? This value of "attack vectors". P.S. Umiak Micro SR Torpedo, mass - 5 ton. Umiak HXLR Torpedo, mass - 120 ton. The difference is more than an order of magnitude. Torpedoes with that calculated from the above procedure fuel capacity. If you want give the values to the an integer, it is possible to increase the acceleration time. Comparison of characteristics of small torpedoes with KKV gives kinetic damage on a direct hit about 100. When damage from blasting fuel not more than 20. This leads to the assumption make small torpedo very large KKV. Restated reserve speed from fighters, megameters per minute, based on "Attack Vector". The speed of light - 18,000 megameters per minute. Fuel capacity in the same mass units, that torpedoes, to accelerate up to 0.1c. It turns out that light gunboat Umiak is about one hundred medium-range torpedoes by weight and fuel. By the way, 50 kg KKV Umiak, accelerated to velocities of HXLR torpedoes cause a few hundred points of damage, right? A firing range that KKV, that is separated from the torpedo - 40 megameters? The damage of any kinetic weapon is going to increase as the square of its terminal velocity, which will vary greatly depending on the starting velocity of the launching vessel or blister and the relative velocity of the target. Ideally it would be expressed as a formula; the listed numbers are just examples for the case in which the firing vessel and the target have matched velocities, and the missile is accelerated only by its own engine. Imagine the ship arrives in the empty system neighboring (< 5 light years) with the enemy borderline target system and drops the torpedo there. The torpedo accelerates toward the target star up to the speed of light, and the ship flies back home. After several years the torpedo flies at about speed of light into the target system and carries exterminatus on the target planet. This option is not suitable for the current war because of the timing. But generally you can start preparing for war in advance and launch torpedoes with the expectation of a massive blow to the borders at a given moment. Is it real for Loroi or Umiak to build such torpedoes? And can Loroi detect and intercept such a torpedo in time? If you took a corvette hull and stripped it down so that it was nothing but engines and extra fuel, you could probably get something that could accelerate at almost 40g for almost 400 hours. Taking relativistic effects into account, such a vehicle could reach a top speed of perhaps 80% lightspeed. It would take about 6 years to reach its target. I think in order to be able to hit anything from that distance, it would need to reserve some fuel for mid-course corrections and terminal guidance. Because it travels on the jump vector (though in real space), the torpedo would probably pass very close to the stations guarding that jump point. They wouldn't have much time to react, but any hit scored on such a vehicle would probably have a good chance of pushing it off course or damaging its ability to make terminal corrections. If the torpedo survived the encounter at the jump point, the defenders would have less than an hour to scramble another interception attempt. Defenses close to the planet wouldn't be of much use, as the torpedo's mass would still hit the planet even if disabled or destroyed at that point. Aside from the problem of the weapon's slowness (a lot can happen in 6 years), the biggest problem in an Outsider context is that there aren't any inhabited planets directly on the border; these were either evacuated or destroyed long ago. There really aren't any suitable targets for such a weapon. The idea is to launch RKKV before you actually declare a war. Then launcher ship have chances to unsuspiciously fly around enemy borders. If it can be made from convenient corvette, it should be rather easy to produce (and launch) dozens of RKKVs. On the other side RKKV could be easy target. Even the small pebble from railgun would evaporate RKKV if hit. In missile reference frame any hit would be at relativistic speed. The problem in that case is the launch being observed. Any ships that transit the system during the 16 day burn window will easily see the torpedo heading out-system, and for months afterwards, it will still be very hot and relatively easy to spot. It will be traveling right on the line between the two systems, so any ships making the jump to the target system will be looking directly at it as they make their preparations and measurements for jump. Any system with an important populated planet will surely have patrols or observation posts in all adjacent systems. Even if all goes well and you hit the target, all it will do is kill civilians; any system defenses will still be intact. It has the potential to do severe damage to any important strategic infrastructure on the planet, but it's very unlikely that a key production system is located directly on the border. Historical examples of terror bombing of civilians suggest that it often backfires, doing more to harden the resolve of the enemy than it does to help win the war. Also, the use of a terror weapon as the very first act in a surprise war will not improve a nation's international reputation. I've once ead a SciFi book, where the kinetic missiles were used as deterrence weapons (most Human factions controlled only 1 or 2 systems). Some kinetic weapons were stationed something between a half and one ly out, If an attack happened from an agressor, a code was sent out, and coded target (of a pre-set list), and the weapon accelerated in a direction outwards which is nearly invisible from the system, until the targetting burn would not be visible anymore, then turn, and aim, and fly towards the target system. Some would stay put and accelerate some random time later (even waiting 1-2 years before burning towards the target). As the start signal can be done unidirectional, the attacker has no idea where the missile is hidden to intercept it. And observing all of interstellar space for a start burn is impossible. A stop signal would have to be sent directional (laser beam), to verify that someone legit is sending them, as only those have the codes to get the pre-set evasion start burns and therefore be able to calculate the app. position of the kinetic missile. Positioning such weapons would take decades, and activating them would take decades more. "Something bad may happen to you 40 years after you destroy us" doesn't sound to me like a strong deterrent. Unattended automated systems are both unreliable and vulnerable to preemptive counterattack. And since weapons have no deterrence value unless you tell the enemy about them, they're going to be looking for them. Not sure I agree there. Any kind of high-velocity burn is going to be pretty easy to notice, and yes, you can watch the entire sky. We could do it now with our current technology, and they could certainly do it in a future setting. Hey guys, I need some help crunching some calculations, I'm trying to determine the amount of explosive force a projectile, let's say a ferrous tungsten shell, weighing 7 tons fired at a velocity of 0.1% the speed of light, how much energy would be generated from such an impact, measurements in either tons or kilotons. Also this is hard vacuum, so no air resistance. I'm currently trying to determine the best ratio for one of the warships I'm using in concept for a story I'm trying to write up, its proving kind of annoying, regardless, I figure the heaviest warship's going to need one of the heaviest guns around so stick, 2 helical main guns with 80cm gun might do. Also I need some help determining how much energy a 510mm rail gun firing 1,950 kg shells at 0.01% the speed of light would impact with. Gotta draw up the turret guns for the ship, so use the next biggest naval guns ever conceived. Since your shells are traveling at far, far less than c, you can just use the standard kinetic energy calculation: KE = 0.5 * m * v^2.